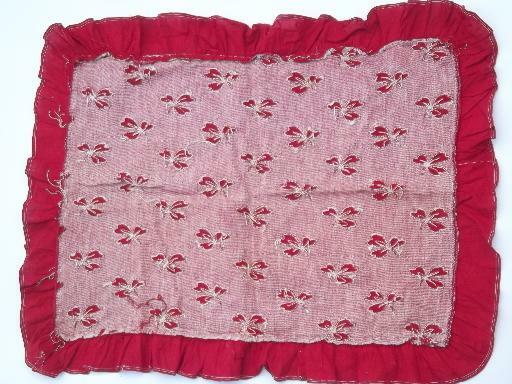 Late 1800s vintage turkey red fabric pillow cover in very good condition without fading or discoloration. 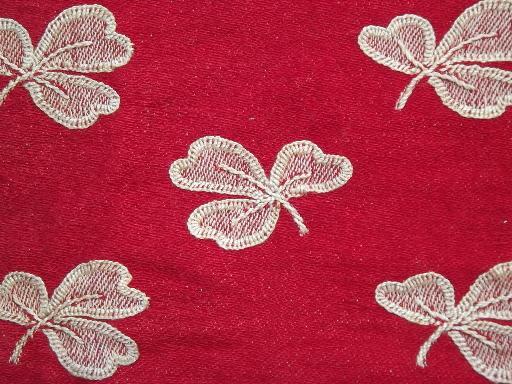 We love this fabric, with the large white clover leaf pattern against the red. This is just a pillow overlay, a top face with ruffled edge - no backing. 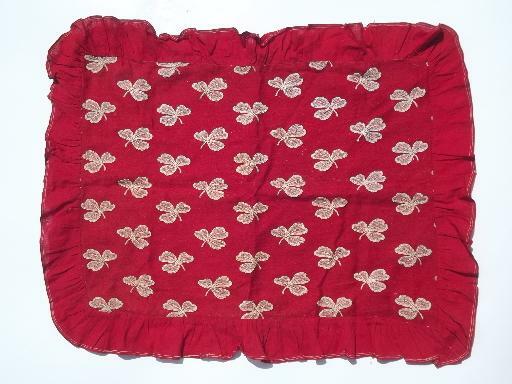 Size is 20 1/2" x 16", not including the ruffle.